Leading Manufacturer of satin embosed fabrics from Surat. 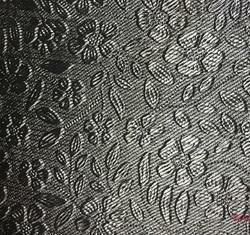 We are well known enterprise engaged in providing highly viable Satin Embossed Fabric. Our experts are gaining specialization of the shuttle woven techniques to bring forth the mesmerizing quality fabric that is best suited for making ethnic as well as western garments. The gorgeous fabric is made from polyester yarns and can be ordered from us in multiple shades to flaunt the style statement. Further, the quality tested fabric can be ordered from us at a leading price.